Welcome To Our Complete Guide To Beagle Names! 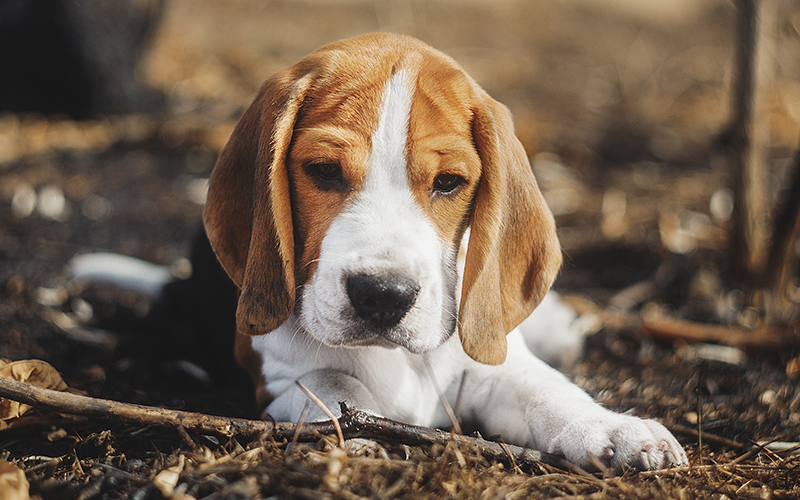 Helping You To Pick The Very Best Beagle Name For Your Puppy. For more dog names check out the links in the pink box! For top beagle names scroll on down. Beagles are well-tempered, intelligent dogs with a wonderful hunting instinct. They also make brilliant pets and companions. And you’ll want your wonderful new friend to have the best possible name. Not just cool, but convenient too. When choosing a beagle name, you want something that’s easy for you to call. As well as a name that matches your Beagle puppy’s personality. Our names list is all about helping you choose the right name for your puppy. 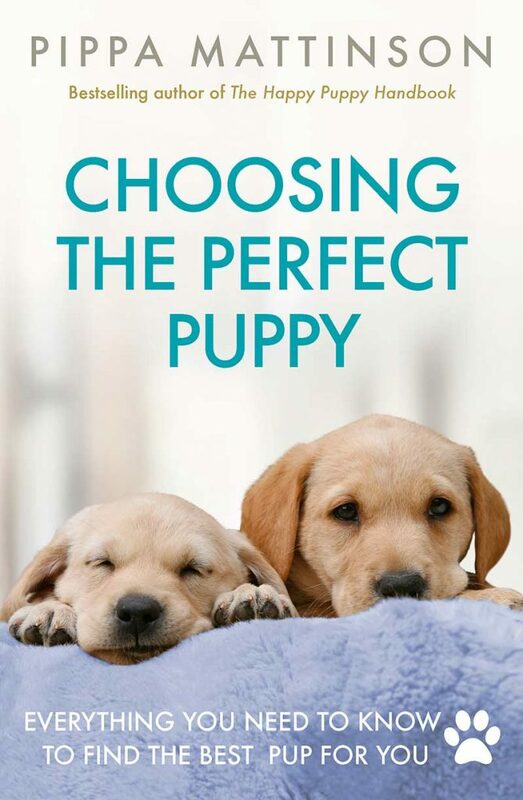 One way is to choose your Beagle puppy’s name based on your dog’s gender. So let’s begin with female beagle names and male beagle names. Want a cool female name for your Beagle puppy? We have included popular female Beagle names, but also some less common names. These are mostly based around traditional human names, but we’ve thrown in some pretty feminine choices as well. Find 150 more Girl Dog Names here. Following on from that gorgeous girly selection, let’s move onto the boys names. 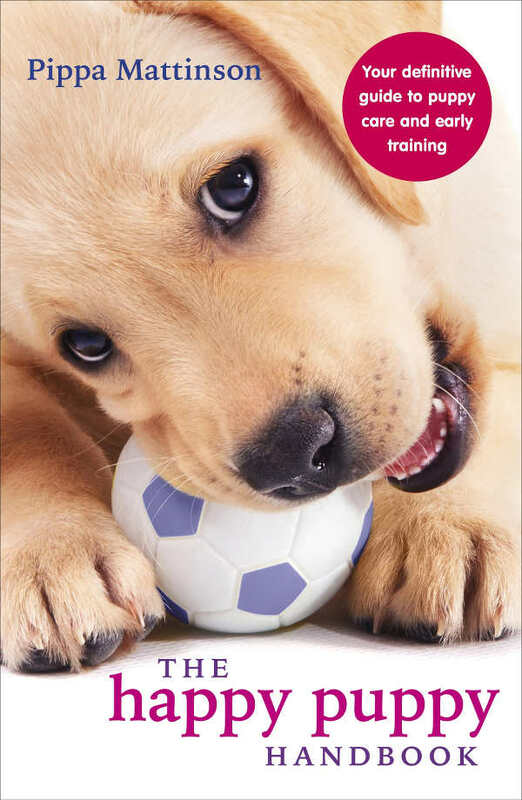 Do you have a male puppy and want to name him something masculine? Or to give him a traditional male human name? Find 200 more Boy Dog Names here. Remember, you don’t need to be reined in by the split between male and female Beagle names. If you see something you like in the other list, then it’s fine to use it for any Beagle. After all, they don’t know what the standard ideas are for naming. You just have to go with what works for you. So along those lines, let’s check out some more fab ideas for good Beagle names. Aside from female and male Beagle names, there are plenty of other good Beagle names that are based on different characteristics. They can be cute names for a Beagle, famous Beagle names, funny Beagle names, and much more. Let’s take a look at the breakdown in each category. Beagle pups are an adorable breed of dog. 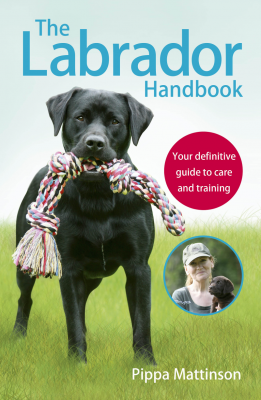 So why not give your pooch an equally cute name? 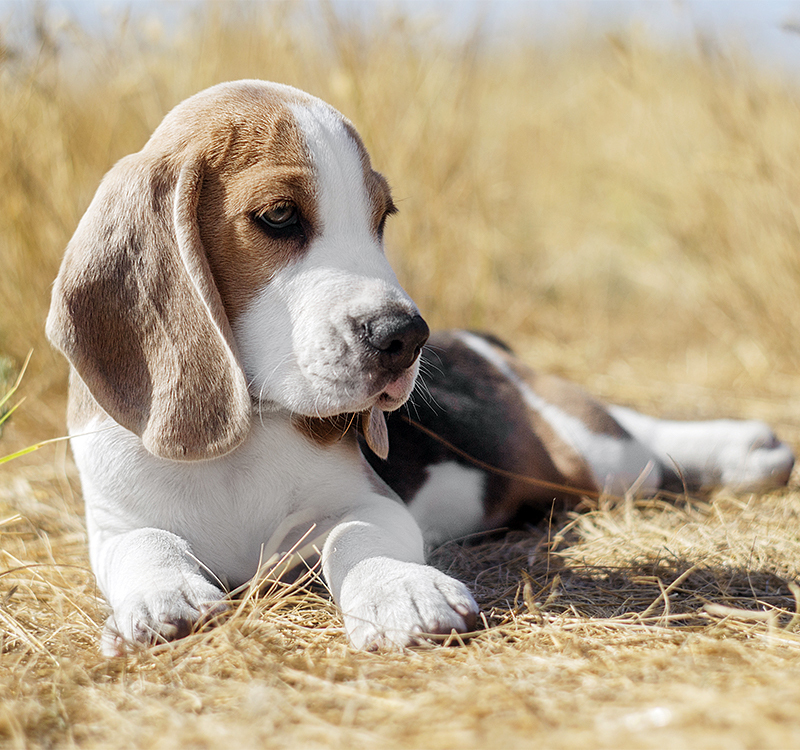 These cute Beagle names could work for male or female Beagles. Let’s face it, they’re all cute! Cute Beagle names are great, because all Beagles are adorable. But you don’t have to be tied down to the sweetness. After all, these wonderful companions are also an excellent working breed. 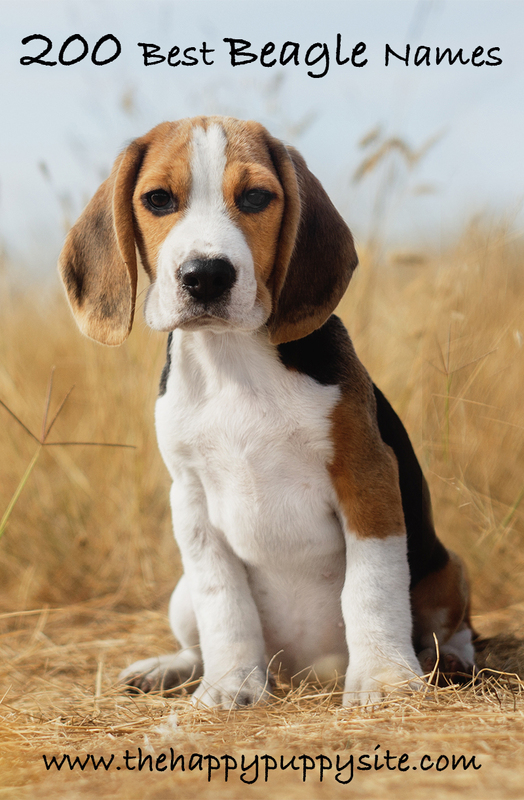 Since Beagles are known for their hunting skills, you may want to choose a name that reflects that heritage. Or that is appropriate call out as he starts to take off after a scent! All of these options should be something that you would be proud of saying loudly at a dog park. Love your Beagle in all of his hound glory, but not so sure you want to reflect that in his name? Well, what about looking at Beagle names from movies! Looking for beagle names from movies and television? Take a look at these famous Beagle names below. Although Beagles are obviously one of the greatest breeds around, there isn’t a massive amount of movie Beagles to choose from. Another very fun way to name your Beagle is through humor! Does your Beagle pup do things that make you laugh? Perhaps you want to name your Beagle something funny because when you say his name, it will put a smile on your face. There are plenty of cute fun names out there. Let’s take a look at a number of them. Funny Beagle names are a lovely way to lighten the mood, but what if you want something a little more serious. Every dog is unique, so why not choose a name that stands out from the rest? Here are some unusual names for a Beagle. Naming your pup in an unusual way is just one of many ways to pick the most awesome dog name for your Beagle. 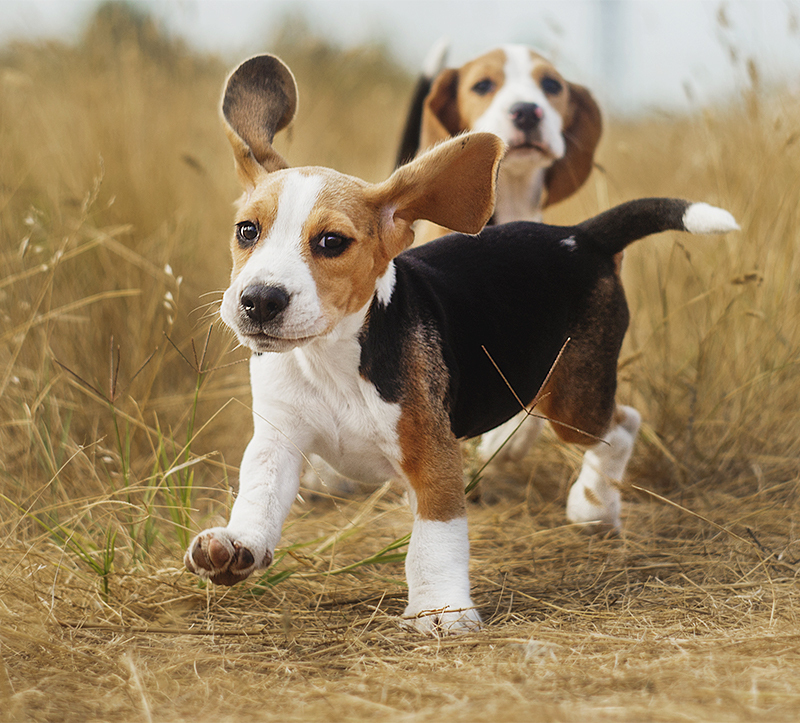 Beagles are undeniably cool dogs, so how about choosing a cool Beagle name for your pup? We think the following selection are all pretty awesome names for Beagles. The best Beagle name for your pup has to do with how it makes you feel when you say the name. Does it make you feel warm and fuzzy inside? Does it make your pup wag her tail when you call her to come? If so, you may have chosen the best Beagle name for your pup. Every pup is unique so try out these names and see which one suits your puppy the best. And don’t forget – beautiful Beagles absolutely love treats. 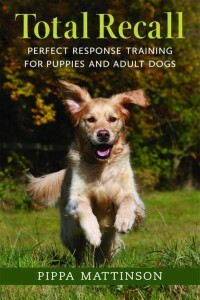 So reward based training is a great way to help her learn her new name. I have a female beagle and her name is molly. I just got a little Teacup Female Chihuahua January 27th, 2019, she is 12 weeks old, she is a little firecracker; chases her little yellow ball around the kitchen, and yips/barks when trying to get my attention when I’m in my back office room on the computer checking emails and EBAY. I have five Chihuahua’s, their great little companion’s, I have a Spotty next to the oldest one, Annie and Danny I found together, Be be is the oldest, about 8 or 9 years old, came from Oakland, CA to the Human Society here in Spokane on the north side of town, she’s a great dog too, a little shy when I first got her but now very loving and fun. Archie is the runt of the family, he’s a mixture, half pom and half Chihuahua. Now that I have one more little one, suppose to be a Teacup and is a female Chihuahua, I’m wondering about what name her, what her name might become? She’s all white except has a tan spot on her mid way body, her forehead, ears are dark tan too, she almost reminds me of Spotty, he’s also white with a tan spot on his rear besides he’s head has tan color on it too! I’m thinking of naming the little teacup female I just got either Mollie, Abbie, or Lucie, trying to follow Danny, Annie, Archie, Spotty, and Archie somewhat with similar names. What do all of you think would be a great name for the Teacup which I think might be more than 3 lb’s when fully grown, of course I didn’t get to see the parents, were told though they both were rather small in size! I bought the puppy from a fella that he bought the dog for his 6-7 year old daughter which she rather quickly lost interest in the dog. Please help me find a good name for her! Thank you! I wanted to name my toy plushie beagle, I bought it a few minutes ago, and I did not know what to name it, soo went here, but I could not find the perfect one, so I thought by myself, since it was a beagle, I named it beagie! Growing up in Pittsburgh’s Squirrel Hill (Jewish Community) we had a beagle named Bagel. There was a loser part of our street that also had a Bagel, beagle. And if course there was another beagle on the street names Lox, short for Nova Lox. Only thing missing was the cream cheese. I current have a beagle, she’s 12, named Peanut, she’s tiny. I usually call her the Axis of Evil, you know garbage raider. I once had a bro-Sis pair named Hamilton & Brie. I called my Dad to share the news of our new family additions and he laughed saying, “Great! You’ve got ham ‘n cheese!” I wish I had been that creative! We recently lost Jethro, our 14 year old beagle. He had a “cousin,” another beagle named Ellie May. Most fun breed ever. My beautiful 3 yr old Lola passed 3/2018 by a car. She was a boater, swimmer, camper, atv , river , life living dog. FB Lola’s adventures everyone loved her. My one year old male Beagle is named Harley. Everyone loves that one. Hope it makes list next time. My beagle just passed away on July 15, her name was Shannon O’Beans. A happy name. I have a six year old beagle named rollie because beagles love to rollick and they are jolly pooches. Our Beagles name was Duke. He passed away on Wednesday. He was 17 and we miss him so much. He was my best friend ❤?? So sorry for your loss. We lost Laila in January and it still hurts. Hang in there . Funny, I actually have a female beagle named Penny… would that work? Or maybe Gold? I have a friend with that last name, which I call her by. Pipe. Maybe unconventional but i work in the handyman business, wheneverni work with copper it always relates to pipe so..
Maggie is the name of my beagle. And I’ve head her since I was 7. And now I`m 18. I love her to death. Thats cool l got a female for my dad who will be 84 we’ve had beagles all my life he named her maggie2 he says she is the best hes ever owned . This so true cause she stays in the house thats never happened as far as i can remember, anyway great you have a maggie love her unconditionally and she will return the love. I have 6 beautiful beagles. There names are Cowboy, Ranger, Scoot, Barney, Tater, and pocket beagle, Cricket. One other that died, his name was Hot Shot. We absolutely love the breed. I can’t imagine not having a beagle.